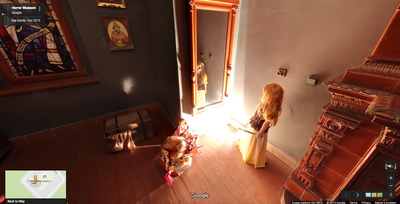 Google Street ViewExplore Poland’s Horror Museum from the comfort of your laptop. It’s fun to tour spooky places in real life, but not always possible if you can’t travel. Luckily, Google Street View has a collection of super-creepy places from all over the world, and you can tour them from the comfort of your computer. Google provided us with the coordinates and the info. Keep reading to see the eight creepiest places on Street View. Romania's Bran Castle is thought to be the inspiration behind the home of Bram Stoker's Dracula since it fits the description of the castle described in the book. 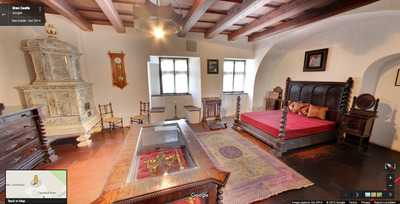 Click here to tour Bran Castle on Google Street View. Mexico's Isla de las Muñecas Xochimilco is home to hundreds of decaying dolls, which were hung in memory of the tragic death of a young girl in Mexico. 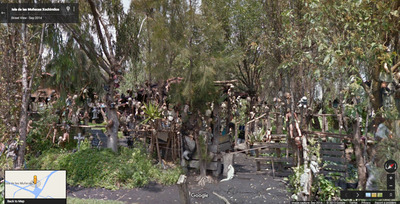 Click here to explore Isla de las Muñecas Xochimilco on Google Street View. California's Bodie State Historic Park is a deserted ghost town from the gold rush era. 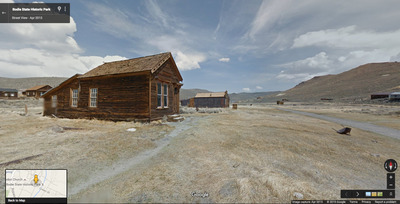 Click here to tour Bodie State Historic Park on Google Street View. Click here to explore the 13th Gate Haunted House on Google Street View. Colorado's Stanley Hotel is where Stanley Kubrick's 'The Shining' was filmed. 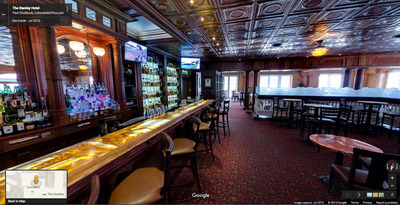 Click here to explore the hotel on Google Street View. Poland's Horror Museum in Wojnowice Palace has to be the scariest-looking place in the world. 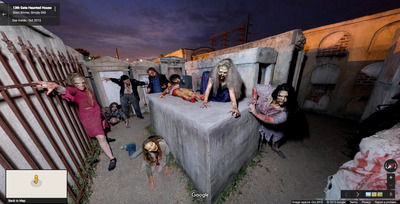 Click here to explore the Horror Museum on Google Street View. 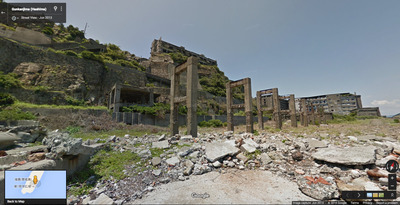 The James Bond movie 'Skyfall' was shot at Gunkanjima, Japan, a deserted industrial area. Click here to explore Gunkanjima. This Malaysian apartment complex looks normal, but people have heard voices and seen apparitions there. 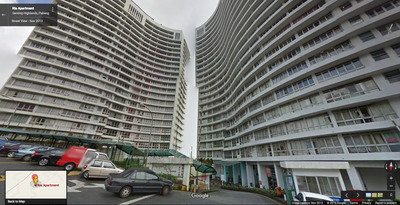 Click here to explore the Ria Apartment Complex on Google Street View.